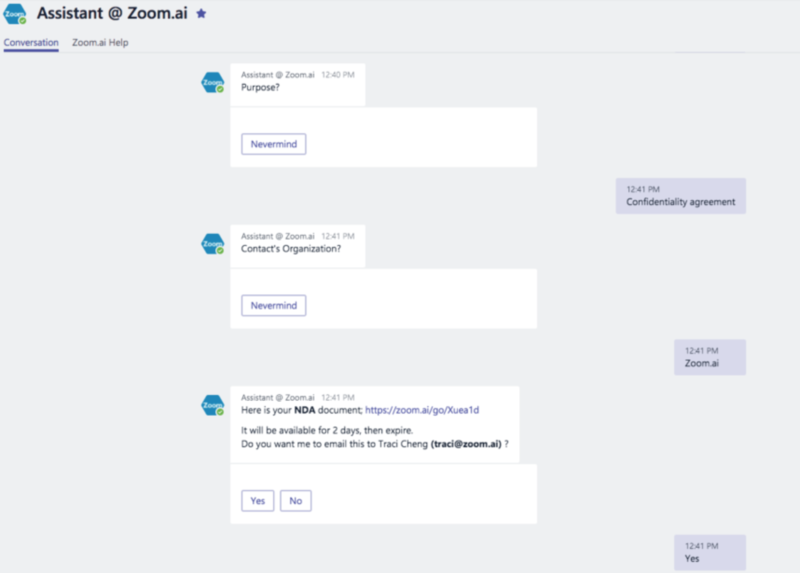 Zoom.ai allows users to efficiently create and update document templates in seconds, within chat and while on the go. You can use Doc Gen as an individual user or as an enterprise user. The private version can be found in Settings. Documents you create in individual version will only be available to you. We support several document formats (DOCX, XLSX, PPTX), Google Docs, Slides and Sheets. Document Generator can be used for different documents: Internal documents, Hiring and offer letters, Insurance policies, Mortgage documents, Administrative papers, Bills, Boardroom reports, Certificates, Invoices, Legal documents, Offer letters, Human resources correspondence, Account statements. If you want to add more questions, click on "+" right next to the first question. Once it's done, you can either download the document or send it to the user mentioned above.